With Spanish Florida lying to the east, and the British Colonies lying to the north, Louisiana was settled relatively late and was a vast territory covering much of the eastern half of the USA's Midwest region. Upper Louisiana covered the area from the Great Lakes to the Appalachian Mountains (the border with the British Colonies), while Lower Louisiana included the southern states leading down to the Mississippi Delta. 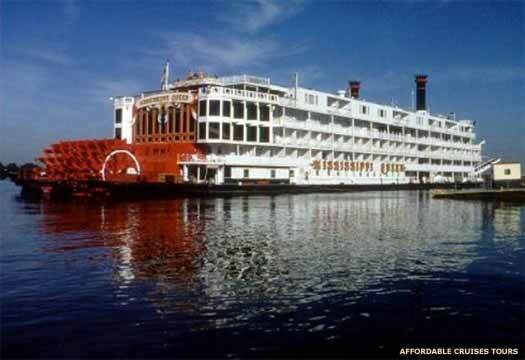 It was areas of this region which became the modern state of Louisiana. Hernando de Soto had arrived with Pedrarias Davila, first governor of Panama, in 1514. Then, in 1533, he had served as one of Francisco Pizarro's captains during the conquest of Peru. In 1538 he is given the governorship of Cuba and charged with the task of colonising the North American continent for Spain within four years (territory that later forms part of the modern United States). He leads the first European expedition deep into the territory of North America where, in a great arcing journey, he traverses Florida, Georgia, South Carolina, North Carolina, Tennessee, Alabama, Mississippi, and Arkansas. After encountering ever greater difficulties, de Soto dies of a fever on 21 May 1542. The Spanish colony of Florida extends as far west as the outpost of Pensacola. Just 45kms further west is the French outpost of Mobile, part of their Louisiana colony. Due to the threat of French encroachment from New France's colony of Louisiana, New Spain establishes its first presence in Texas, although these early missions quickly fail. France establishes a permanent colony in the territory. France established a permanent colony in the territory in 1699, naming it after King Louis XIV. The capital is not fixed until the early eighteenth century, starting off at Fort Maurepas, founded in 1699, switching to Mobile under Jean-Baptiste Le Moyne de Bienville between 1701-1713, fluctuating between both of those and New Orleans and Biloxi under Jean-Baptiste Le Moyne between 1718-1724, and finally becoming fixed at New Orleans after 1718. First governor of the Louisiana territory. Died suddenly from fever. New missions are established in Texas from New Spain in order to create a buffer zone between it and the New French colony of Louisiana. These are followed in 1718 by the first European settlement in Texas, at San Antonio. Land which is part of the native Chitimacha tribe's possessions is taken for the town of La Nouvelle-Orléans (or New Orleans), founded by the French Mississippi Company on 7 May under the governor's direction and support. Fourth and final term of office. The Seven Years' War - the first truly 'global' conflict - comes to an end. Under the terms of the secret Treaty of Fontainebleau of 1762, France cedes the vast and wild Louisiana Territory from New France to Spain. As part of the subsequent Treaty of Paris of 1763, Spain itself loses the colony of Florida to the British but are happy to do so as they have already been handsomely compensated with Louisiana. The British have been confirmed as possessors of Canada following their victory at the Battle of Signal Hill in 1762. Spanish administrative control of Louisiana does not begin until 1766. The easternmost section of Louisiana falls under British control as part of Florida. West Louisiana becomes a Spanish possession. Spain took administrative control of West Louisiana in 1766, although the territory had been ceded to it in 1762 under the terms of the Treaty of Fontainebleau, which was kept secret by the cousins who held the French and Spanish thrones. A Spanish governor was placed in charge who was, to all intents and purposes, ignored by the French colonists there. Eastern Louisiana fell under British control as part of Florida, including the former capital of Mobile. A Creole uprising expels the unwanted Spanish governor. Later captain general of Venezuela and then Cuba. Unzaga had previously taken part in the defence of Havana in 1762. As the Spanish governor of Louisiana he supplies gunpowder to the revolutionary forces in the British Colonies, and later becomes captain general of Venezuela (1777-1782) and then Cuba (1782-1785). Bernardo de Galvez invades West Florida as soon as he can after Spain declares war on Britain on 21 June 1779. He lays siege to Mobile's Fort Charlotte in March 1780, taking it after a strongly-defended thirteen day siege by former governor, Elias Durnford. Then Jose de Ezpeleta attacks the Pensacola garrison and Britain's native allies from Mobile. As West Florida's last stronghold, Pensacola surrenders to Galvez in May 1781, ending British rule there. The province is occupied for the next two years and as part of the Treaty of Paris which marks the end of the American Revolutionary War, Britain cedes West Florida back to Spain in 1783. With a new war threatening, the Delaware decide that their old villages in eastern-central Ohio are vulnerable. They relocate most of them to north-western Ohio and southern Indiana. 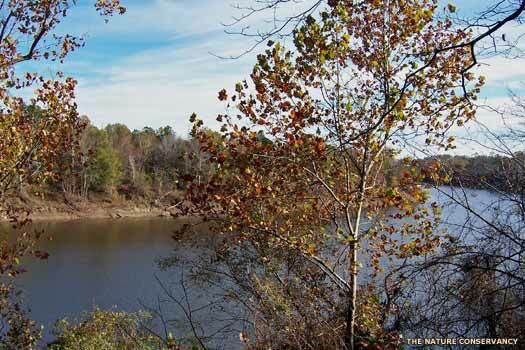 The new locations are crowded, and the Delaware habit of hunting for profit creates friction with neighbouring tribes. 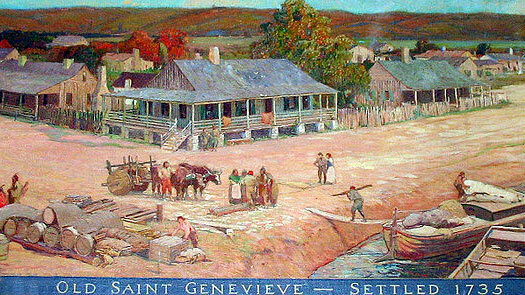 Some of the Delaware and Shawnee peace factions soon separate from the militants and move to St Genevieve, Missouri, in Spanish Louisiana. The Spanish find the Native Americans useful as a buffer against the Americans and as protection against Osage horse thieves. The Spanish governor of Louisiana sends emissaries to the Shawnee and Delaware in Ohio, inviting others of their number to migrate southwards. Baron de Carondelet makes a formal land grant to the Missouri Delaware and Shawnee that covers an area of twenty-five miles square at Cape Girardeau. In the same year, the Delaware protect the survivors of the 1792 American delegation because their number includes Hendrick Aupamut, a Stockbridge (Mahican), with many Delaware relatives. Peace negotiations which are held that summer eventually fail and, in October, Wayne begins his advance into north-western Ohio. The French take the Louisiana Territory back into New France under the Treaty of San Iidefonso. However, the easternmost section, which has formed part of West Florida since 1763, remains in Spanish hands. The second period of French governance in Louisiana was merely an interim period between regaining the territory from Spain and selling it to the USA. The capital was New Orleans. Last French governor of Louisiana. On 30 April 1803, Napoleon Bonaparte, first consul of France, effectively sells off New France when he hands Louisiana to the United States for 80 million francs. While the USA also claims the former French territory which has been part of West Florida since 1763, Spain refuses to hand this over. The following year the Orleans Territory is formed as a subdivision of part of it (later to become the state of Louisiana). US Governor of the Orleans Territory (later Louisiana State). The USA asks the viceroy of New Spain to remove his Spanish troops from New Orleans in Louisiana so that it can take possession of the area up to the River Sabine. The viceroy agrees and the troops are removed. In 1812, the Orleans Territory becomes the state of Louisiana and the first permanent US governor of Louisiana is appointed in the form of William Charles Cole Claiborne. Fourteen further states are formed partially or wholly from the Louisiana territory to the north.